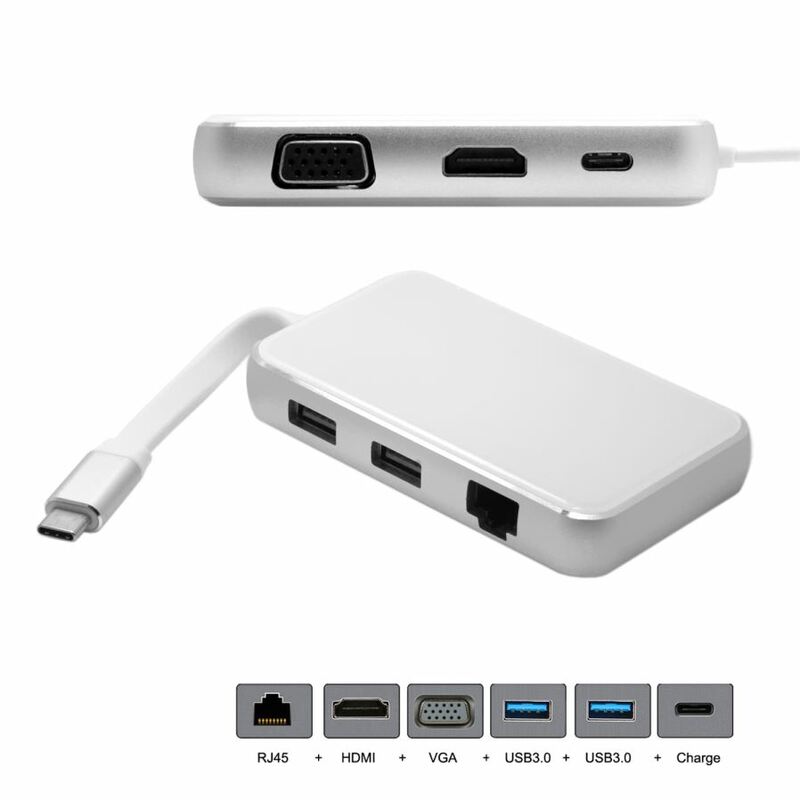 The USB-C Multiport Adapter lets you connect your MacBook with USB-C port to an HDMI/VGA display, while also connecting a standard USB device and a USB-C charging cable. HDMI ouput 4k2k/30hz max and VGA output 1080p/60hz max. Use the standard two USB port to connect devices such as your flash drive or camera or a USB cable for syncing and charging your Phone. 100Mbps Ethernet port allows the host computer to access the network, provides superfast network speed.